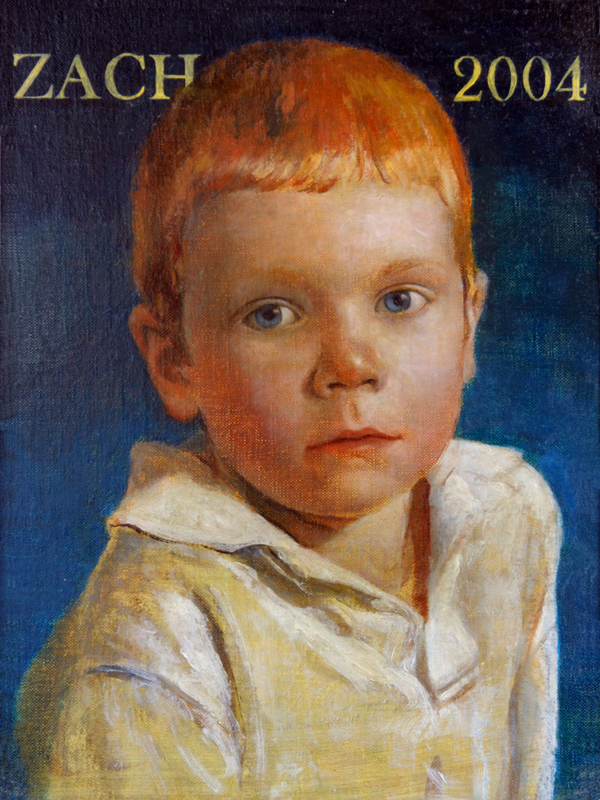 I painted my husband's grandson Zachary when he was small, though he now is taller than his granddad. I love the background color against his red hair. Portraits of children definitely capture a moment lost in time.